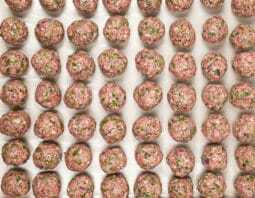 Forget one-trick recipes! Versatility rules the kitchen with the easiest shredded chicken recipe you’ll ever find. There’s nothing like coming home after a long day and putting together easy chicken burrito bowls or chicken carnitas, but sometimes you just want to throw some shredded chicken onto a salad or toss it with pasta and call it a day. That’s why you need to know how to make shredded chicken in the slow cooker. Shredded chicken is one of the ingredients that makes busy weeknight meals so much easier. It’s essential for healthy eating and time-crunched families. The only thing better than having chicken ready to eat is making it with minimal effort. 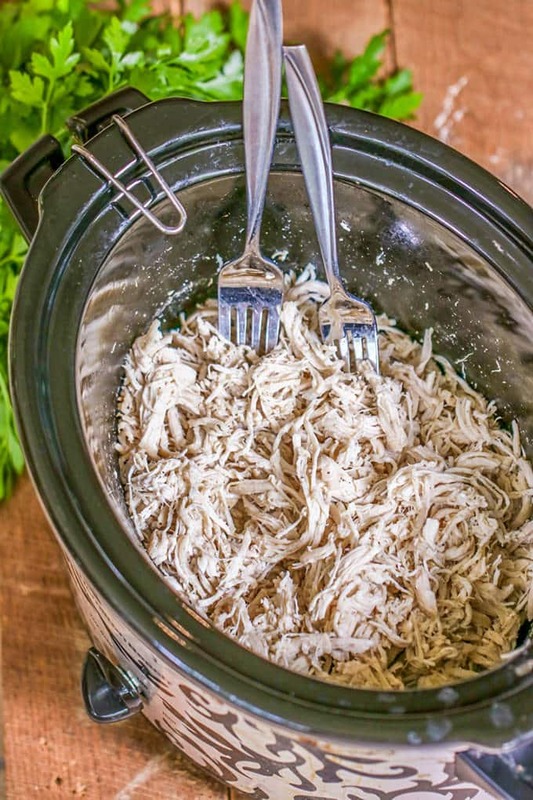 Cue this slow cooker shredded chicken. 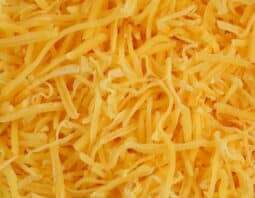 It takes five minutes to prepare and you can make a variety of meals simply by adding a few more ingredients. 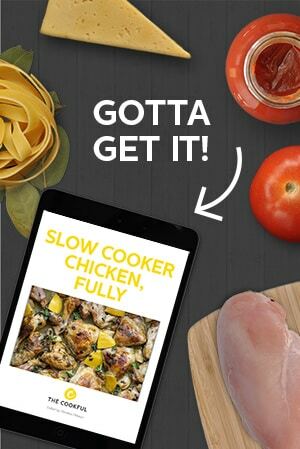 Plus, making it in the slow cooker (we love this slow cooker and not only because it’s programmable!) 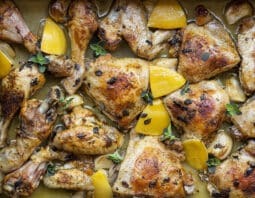 leaves the chicken moist, flavorful and ready to take on any flavors you want to put on it. 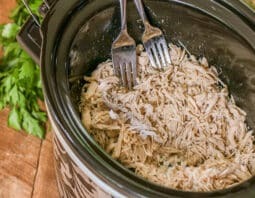 There are two ways to enjoy the ease of slow cooker shredded chicken. You can either throw it in the slow cooker in the morning to enjoy for dinner or make it during the weekend so weekly meal prep is easier. I’m a huge fan of having ready-to-go chicken for different meals during the week. Use it to top salads, throw it in a wrap or toss in a bowl with some grains and veggies. There’s no way to get bored with slow cooker shredded chicken when it’s so versatile. 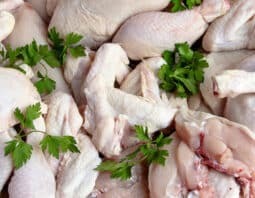 Once the chicken is done, put it in a container with a half cup of the liquid and let it cool before putting it in the fridge. Just like that, you’ve got chicken ready to go! In a small saucepan, bring water to a simmer. Dissolve chicken bouillon in the water. Add the salt and pepper. In a slow cooker, place chicken breasts and pour in the chicken bouillon mixture. Cover and set on high for 4 hours or low for 6 hours. 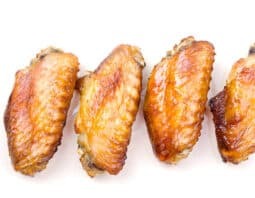 Remove chicken from the slow cooker once done and shred with two forks. Reserve 1/2 cup of the liquid and discard the rest. Place the shredded chicken back into the slow cooker and mix with the liquid. Serve or save for later use saving 1/2 cup of broth with it to keep it moist in the container.